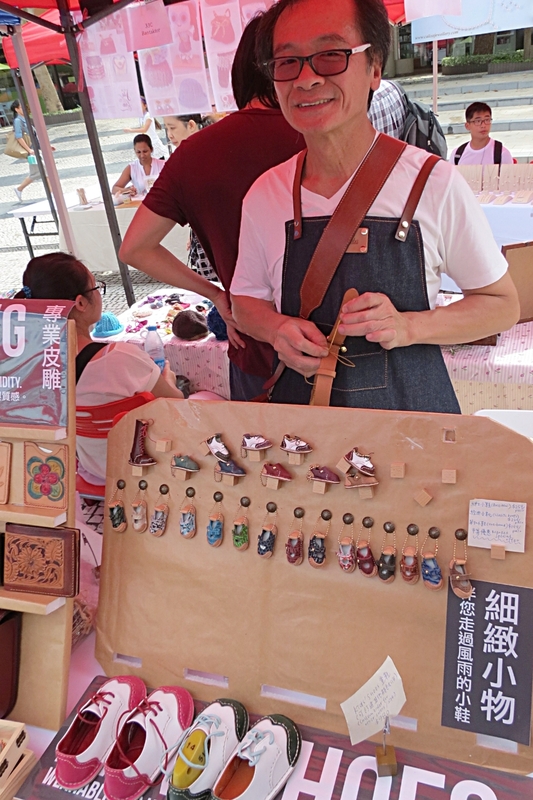 Take a side trip to Hong Kong and enjoy a fresh fish dinner in the Temple Street Night market and meet the local craftspeople at the Handmade Hong Kong Market. 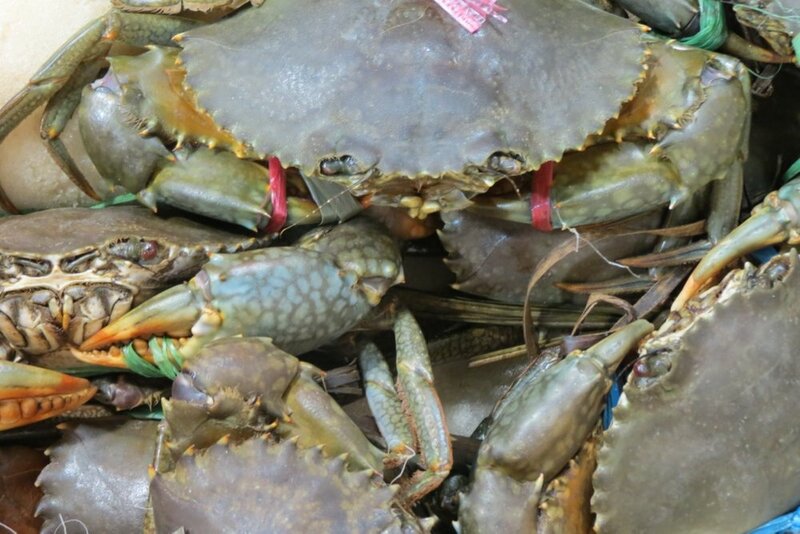 I arrived in Hong Kong at night and headed straight to the Temple Street Night Market to get some dinner and to see what Hong Kong street hawkers had to offer. The market lines a narrow street in a canyon of tall buildings. 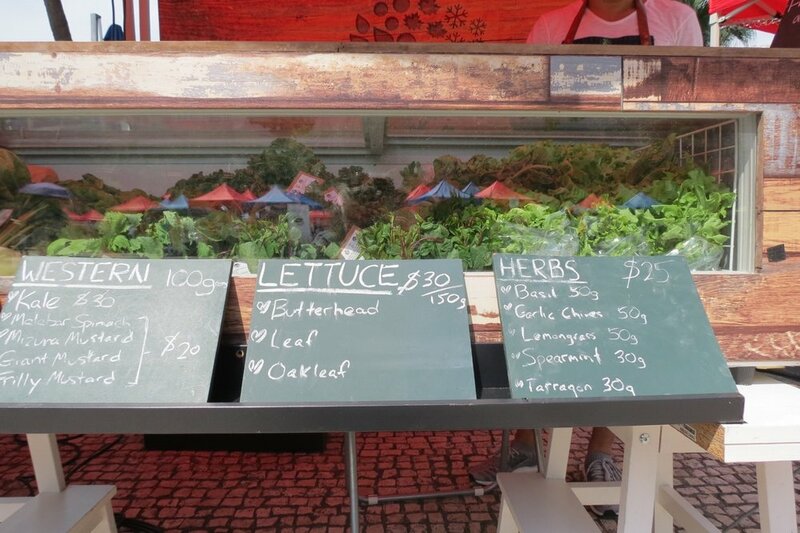 The ultimate urban market. 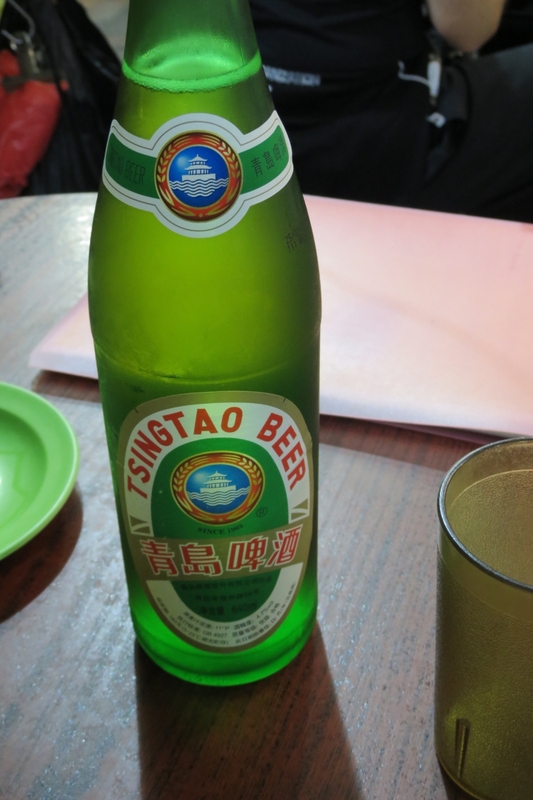 The bustling Tong Tai Seafood Restaurant has a handful of plastic tables in the street and fish dishes come out of the tiny kitchen fast and fresh. 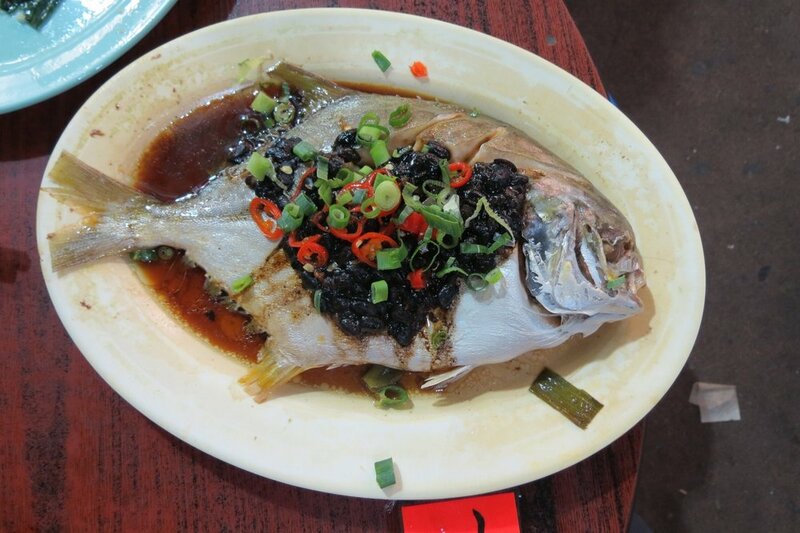 My steamed fish with black bean sauce arrived almost as quickly as the ice cold Tsingtao alongside a dish of vivid green gai lan in garlic sauce. 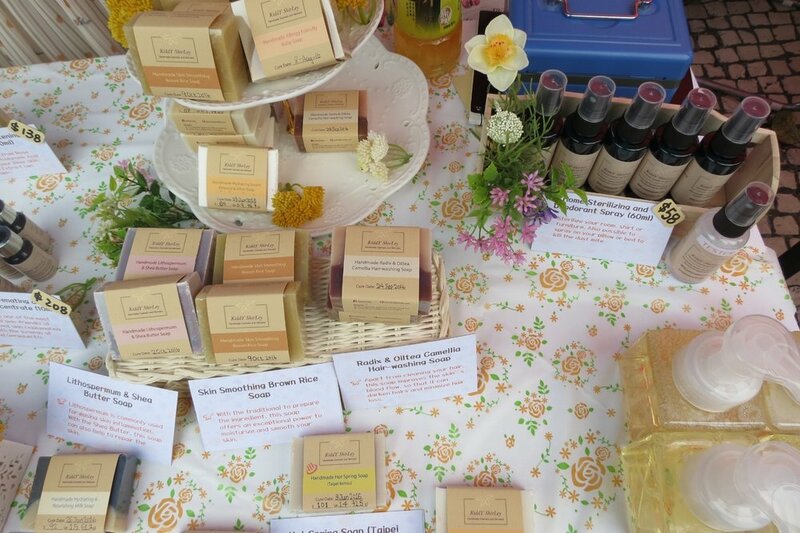 Hong Kong's Handmade Market moves around to different venues. 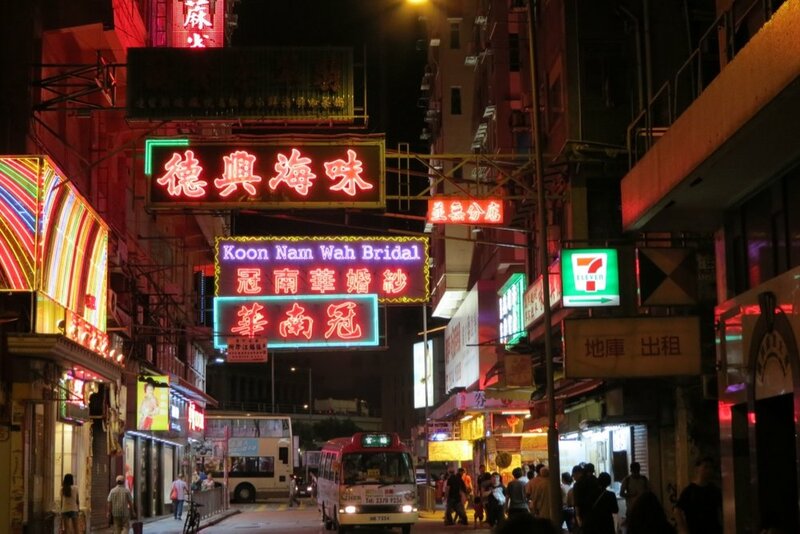 When I visited it, the dozens of colorful booths were set up in the central square near the ferry landing at Discovery Bay. The ferry ride was a great way to take in the size and scope of Hong Kong and it was lovely to be right on the bay with no high rises to block the breeze on a hot summer day. 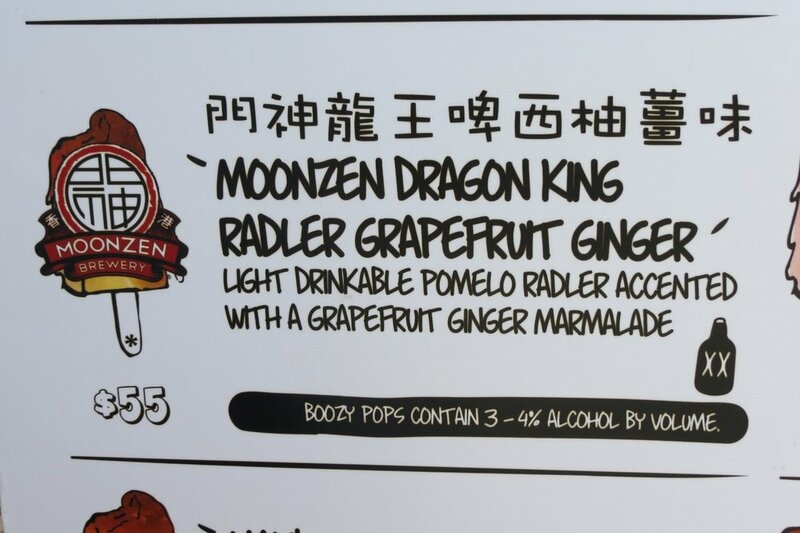 Among the 50 or 60 kiosks, about half were showcasing food or drink: wine, jams and chutneys, fresh organic greens, and my favorite, Moonzen Brewery boozy popsicles. Among the handcrafts, I particularly appreciated the family efforts. 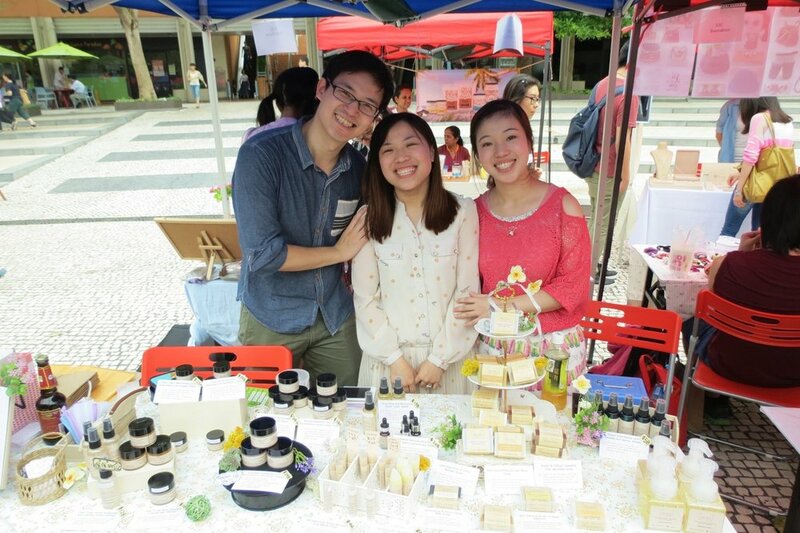 A daughter who produced the promotional materials for her dad's handmade leather baby shoes and a young husband helping his wife launch a brand of handmade soaps and bath products that incorporate traditional Chinese herbs and remedies.